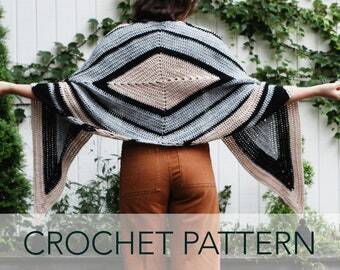 So ... guess what pattern finally just got released after months of anticipation? The Mount Tremper Sweater is now LIVE! Two of Wands, launched in 2014 by Alexandra Tavel, is a knitwear company with a modern approach to a timeless art form. Each finished item is handcrafted by Alexandra, taking anywhere from a few hours to over a week to meticulously create. The focus of Two of Wands is sophisticated knitwear made with simple stitches and techniques, with inspiration coming from the world around us - nature, history, culture, trends, and function. By offering patterns of each design, Two of Wands encourages others to find their creative energy and join in the magic and mindfulness of hand knitting and crocheting. From the meditative and cognitive benefits of the practice to the appreciation of the finished product, hand making garments and accessories is a healthful addiction for the mind and spirit. Each Two of Wands pattern has been thoughtfully written with the maker in mind. Since launching two years ago, Two of Wands has been an immediate breakout success and has been sought out by international customers and boutiques. Alexandra's garments and accessories for women and home have been featured in Mollie Makes Magazine, LoveKnitting catalog, Buzzfeed, Etsy’s Editor Picks and numerous fashion and craft blogs and sites. She has done collaborations with Lion Brand Yarn Company, DMC Thread, and Little Dandelion knits among others and plans to expand Two of Wands into menswear and home accessories in the next year. I'm so lucky to have been able to travel all over the world, and I always draw inspiration from the different countries I've visited and the local artisans who create such unique pieces in their communities. It was on one of my travels that the Two of Wands label was solidified. In 2013 I climbed to the top of Mount Kilimanjaro, and when I reached the other side I met a woman who offered to read my tarot cards. The Two of Wands was drawn and my future was set in motion. This card is focused on taking the path of discovery and creativity, taking your ideas and desires and turning them into a solid plan for success. It is about stepping into that scary but exciting unknown and believing that you have the potential to shine. The name represents energy, spirituality, inspiration, creativity, ambition and expansion. Hailing from a small town in the Midwest taught me the importance of making functional pieces that are approachable and not too out there, but living in NYC for over a decade and traveling around the world gives me great inspiration to design unique and stylish items at the same time. My style is chic but playful, and because as a consumer I tend to shop and wear so many different styles, my designs also have influence from many different directions. Combining influences from my experience with cut-and-sew garments, draping, and jewelry making as a Fashion Design and Costume Construction Technology student at Indiana University, I strive to design unique pieces with simple but unexpected details. My design process starts with a feeling – a moment in time that I want to capture with a garment or accessory. I love using a wide array of fibers and aim to source materials locally and sustainably. To receive updates and special offers on the new products and for information on sales and new pattern releases, please sign up for my newsletter at the bottom of the site. Don't forget to follow Two of Wands on social media for more updates and to share your finished projects! Creator, Dreamer, Learner living in the East Village of NYC. 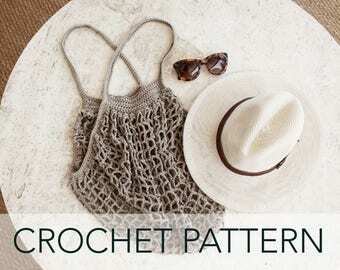 This company produces eco-friendly bamboo knitting needles and crochet hooks in various sizes for larger companies. Founded in 1922 as a small sewing shop making customized products for business customers, the tote bag production company I use still has in-house printing facilities and now offers promotional products on a global scale. The casting company I use in NYC is a family-run business using all recycled metals from eco-friendly factories. Welcome to Two of Wands! Due to the made-to-order nature of my items I do not accept returns or exchanges. Please convo me for extreme circumstances. I want all of my customers to have a wonderful experience in my shop and I strive to do everything I can to ensure this. I accept payment by credit card, PayPal, and Etsy gift card. All New Yorker orders must be processed through the "other" payment option so I can calculate the sales tax rate based on your address and send you an invoice through paypal. Unfortunately our state has some wacky tax laws and Etsy doesn't have the capacity to calculate the sales tax automatically. So please select "other" as your payment method if your item is being shipped to the state of New York. Thank you! 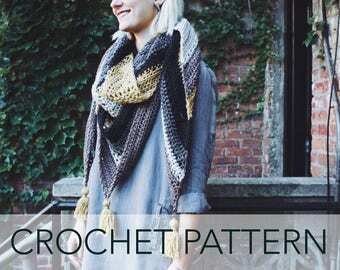 All patterns are available for download at payment completion. Your confirmation page and email receipt will contain download links, and you can also access the file next to the transaction details in the "purchases and reviews" section of your Etsy account. The patterns and photographs of items on this site are the property of Two of Wands and are for personal, non-commercial use only. You may not distribute or sell these patterns without consent. Customers may sell small batches of finished items created using these patterns but are required to match the retail prices below and give credit to Two of Wands for pattern rights. These prices are calculated based on the cost of yarn and hours of labor required to create each item. Consent to sell is only given when customers agree to uphold the integrity of the designs. This process is meant to keep the market fair for all those selling finished pieces. Please contact alexandra [!at] twoofwands.com with any questions.